Plans to deliver a strategic park and ride site on the route. An outbreak of common sense! The idea of buses that look like trams is much to be admired. The decision not to dig up roads, divert underground services and erect unsightly overhead wiring in favour of a new tram system is to be congratulated. Belfast and many other European towns and cities have already proved that the idea of a bus that operates and looks like a tram, works well at a fraction of the cost of conventional trams. 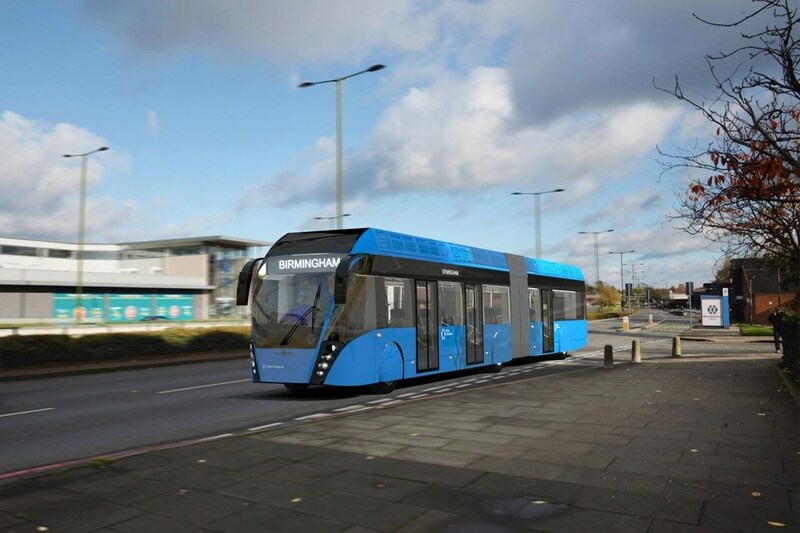 We were sold the idea of trams lasting longer than buses but already first generation fleets of UK trams have already been scrapped, Manchester & West Midlands being good examples. We hope to see Sprint trams - sorry buses, in operation in the West Midlands as soon as possible. A key to their success will be freedom from traffic congestion. If local authorities are willing to grasp the nettle and control traffic in favour of buses they will have a chance of encouraging drivers out of their cars and onto public transport. Above & below, Belfast 'Glider' vehicles manufactured by Van Hool.